A self-guided weekend through classic Cotswolds. 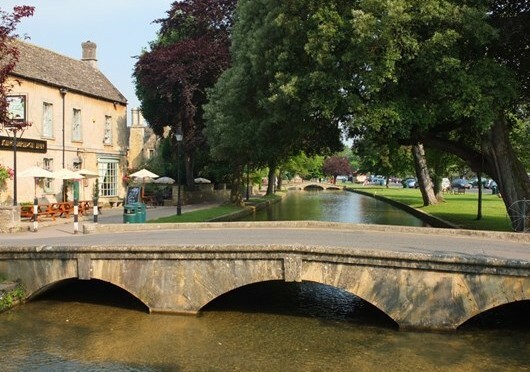 This is a self-guided short break linking Bourton-on-the-Water with Winchcombe. It is a delightful two-day walk, with three nights accommodation, in one of the loveliest parts of the Cotswolds. Leave any day you like. Your route notes and maps will await you at your accommodation. Noted for its succession of stone bridges across the pretty River Windrush, there is plenty to see and do here, including the Cotswold Model Village. Overnight in Bourton. Departure after breakfast. This walk can also start and finish in Winchcombe. £225 per person based on 2 people sharing. Upgrades to alternative accommodation possible for supplementary payment. A selection of carefully chosen B&B's – all rooms with private bathrooms. Upgrades are possible and it is possible to mix and match the accommodation if you wish – please ask us. Rail: The nearest station is Moreton-in-Marsh, with a direct line to London (Paddington) and also connects to the rail-air link from London Heathrow.